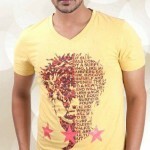 ChenOne has Recently launched Gents Summer Collection 2012 for this up coming season of summer. Chen One is a complete lifestyle fashion brand by Chenab Group. Chenone was founded in 1997.This dazzling and attractive collection by ChenOne included trendy outfits in vibrant yet attractive colors. ChenOne outstretches its mission to lead the fronts of luxury and lifestyle segments of the market. The stylish Kurta Salwar, Salwar kameez, Dress Shirts, Dress Coats, T Shirts, Nekars and Trouser by ChenOne look worth excellent and civility of color and design are worth wearable. ChenOne used light dark colors combination used for this collection which are perfect to wear in hot summer. Lets have a look at ChenOne Summer Gents Collection 2012.